If you’ve been told you need dentures, we understand this can be a bit alarming. 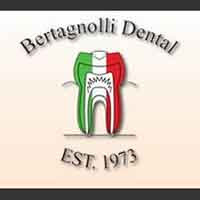 At Bertagnolli Dental our primary goal is to serve our patients and their needs. If you are looking for dentures in Westminster, we are the dental office you can trust. If you need to replace all of your natural teeth, dentures are a necessary option. The process of creating dentures requires several different procedures to make sure that your denture will fit the shape of your mouth and provide the necessary support for your face. Our team will design your dentures with your total input to make then as natural as possible. Our courteous staff will answer any questions you have and give you the attention you require. With our affordable prices, it is easy to obtain the perfect smile. When you need dentures in Westminster, call and schedule your appointment today.